Two and a half years after my husband filed for divorce and after a prolonged battle over a document I signed without a lawyer under questionable circumstances, I received a divorce settlement. “By ‘strength’, I mean it in the way Marcus Buckingham means it: whatever activity energizes you and makes you feel strong and alive and most like yourself. Identify those moments. Cherish them. Organize your life around them – figure out how to do more of them – and, over time, the dots will start to connect into a skillset uniquely yours.” –This is the concept behind developing your cosmos from chaos in my blog. Forming connection between the facets of self and unifying them into one coherent you. Tania, I agree. Justine suggests that the crap will fall away and only the good self-published writers will survive. I hope she’s right. There has always been crap. It always falls away. That’s why the past always seems like the art and literature was *so much better* than today — only the good stuff gets shared and passed down through the years, decades, etc. The bad stuff dies. Keep in mind too that when I say more I mean more *value*. Sometimes value isn’t about producing more pages, but taking the pages you have and learning how to make them better. Yeah, I can appreciate the problem intellectually and sympathize emotionally. I thank whomever that I grew up a peasant and married another peasant … even though we both were/are achievers. Justine – love this post. It’s funny how money is used to cloud things in our culture: identity, value, purpose. When you remove it (and this is a psychological choice, not an effect of having or not having money) – suddenly, a new world of options opens up. One not defined by bringing money in or sending it out. On status via ownership. @justine More value is key…very good point. Thanks! your posts have been uncanny for me in their timing and topics. Another fantastic reinforcement of areas I’ve been focusing on, thank you. Well, you’ve covered a lot of ground here, Justine: starting with defining feelings of scarcity and moving onto various proactive physical actions to override it. But does learning competitive marketing eliminate feelings of lack? I think not. Unless…unless, one becomes so successful that one no longer feels he/she is competing with anyone. “Build it and they will come” becomes completely believed. And when it IS, they come. You talk about attention and focus bringing results, positive or negative. I definitely agree. I also agree that active pursuits of anything encourages HOPE. But there is a place in your essay where I branch off, and it’s at the beginning. I believe that the feeling of scarcity is a manifestation of a much larger belief: that of UNCERTAINTY. It’s a fear that things won’t work out. It’s a lack of trust. It’s a feeling that what you need in the future won’t be waiting for you when you get there. And this fear of the future brings about a feeling of “not enough” RIGHT NOW, and a competition for what IS. This anxiety sets up enemy camps. And wars. People who feel empowered don’t worry about competition or scarcity. They believe they will always get what they want, no matter how many MISS-takes they make. This is a core belief. This is FAITH, something I talk about a lot. And when you have it, much less effort is needed to manifest your desires and fears. So my point is: Does action leading to results build faith? Or does faith create results, like manifesting abundance? I believe both dynamics must work in tandem. And when they do, life is sweet. Great post, Justine! Plants as marketing experts…of course! I never suggested that competitive marketing in and of itself eliminates feeling of lack. That’s not what the piece is about. Thing is — we are at our most productive and creative when we are relaxed enough to downshift into those creative brainwaves. Scarcity is connected to anxiety, which contaminates and interferes with your work. But believing something is already out there, existing in some other secret personal dimension and all you have to do is pull it through into this one by giving it expression — you might call it faith — others might call it visualization — enables you to relax into the actual work and let the work absorb your whole focus. If one feels that something important (like love or money), is limited, or that at some point it will stop or run out; by implication, one also believes that love or money may NOT be replenished tomorrow, next month or next year. Conversely, if love or money always is always replenished, there would never be scarcity. Or fear about it. Of course many times there IS no certainty that love or money will always be replenished, and consequently, there is real scarcity, and justified concern or fear about it. Said another way: if one has faith, OR…if we knew for sure that love and money would always be replenished some time in the future, then there would never be scarcity, fear of scarcity, or fear of uncertainty. Somethings we expect to always be WAITING FOR US. And they are. Somethings we’re not sure about, and many times they are not waiting for us. When they aren’t, we worry. Hence, fear of uncertainty about scarcity. 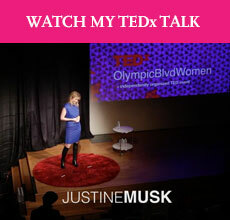 Justine, yours is one of the few blogs I always make time to read. You always have something important to say…and you say it so well. Love this post! Thanks. Justine, thank you for sharing your story. I can relate totally. Thank you for sharing yourself Justine! I think for the folks who feel scarcity OR uncertainty no matter how successful they are (and I define success as living the life you want, with or without money), it’s a question of upbringing. I’m not saying it’s the parents fault, just that if love and support and encouragement weren’t given to you as a child, it’s difficult to manifest positive things for yourself, or to appreciate/accept/welcome them when you do. As an adult, it’s your responsibility to deal with it, but you work with what few tools you have and it can be a real struggle. A lot of people don’t understand this is what’s happening to them, and even for the ones who do it can still be a struggle to change. @justine So true. It’s easy to look back at the literature that survived and forget that some of what we view as classics seemed like utter failures or were even lost in ashes. Time brands work differently than we try to do. Comparing today’s pages with all literature in existence will always make it clear that our contributions are minisculely small…but everyone’s contribution is a microdot when we look at it from far enough away or from vast enough abundance. And, yeah, the “entertainment industry,” at the macro level, is insanely abundant. Hollywood and NY publishing are still full of gigantic successes. Far too often, we look at “genre” or “writers we know” and the midlist (or self-publishing or whatever’s not superhot) looks teensy. But the big picture’s still limitless. I still watch friends pull the magical deals. And then it turns out that a million for a first novel isn’t always a good thing. Or that a thousand for a first novel might be life-changing. We are what we bring to it. We show up on the page. We need to bring what we’ve got and offer it all up: the strong, the weak, the stable, and the deranged. Thanks for writing this one, Justine.